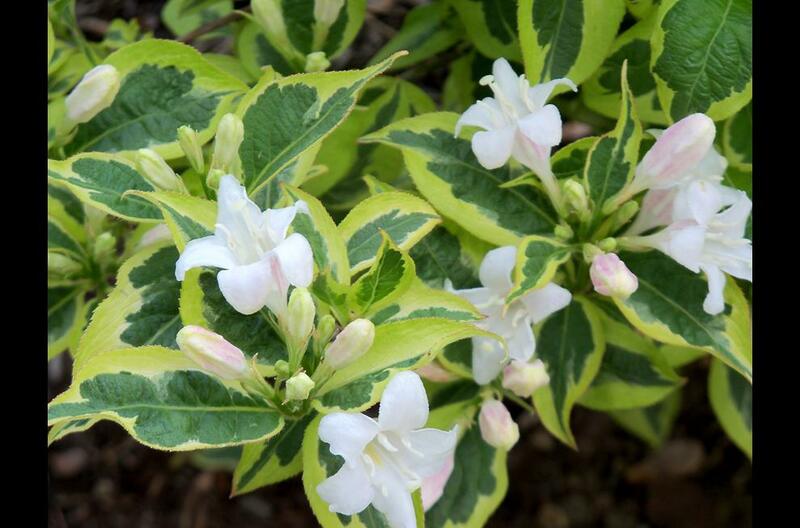 White Lightning Weigela is a wonderful statement plant. 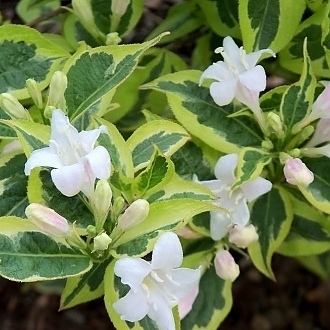 The lemon edged, glossy, deep green foliage combined with the shell pink buds that open to white trumpet blooms in early Spring, add character to any garden. This deciduous shrub has a mounding habit and is perfect for borders, hedges, as a landscape accent or as a feature in a decorative container.